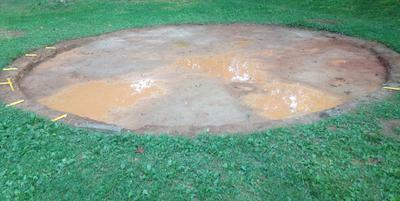 Trying to finish leveling the site for an Intex 18 X 48 round ultra frame pool. Removed the sod. Then used a board with leveler to level the site. Then checked it yesterday with a friend's laser level. 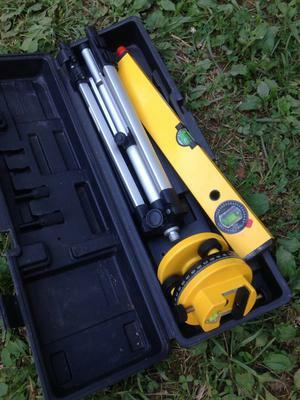 The laser level, which is an inexpensive one, said we were off 1/4" in a few spots to about 1 3/4" in two other spots. Our soil is red dirt and clay with tree roots. So, if we are following the rule to get it level to within an inch, it appears we still need to dig more. Sigh. The clay soil is hard and doesn't move easily like the online videos show for leveling the dirt with a board. We are using a 10 ft. board with a leveler attached, even though the pool is 9 ft. across, to make sure the feet and pavers have a level area to sit on. Are we on the right track and how much more do you recommend digging? We are thinking it is going to be difficult to get it perfect, but we want it attractive and done right as quickly as we can. 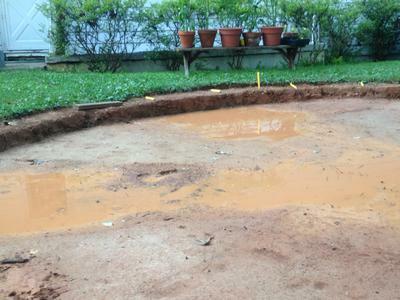 Also, summer rains keep filling our site with puddles, can we dig on it with it wet? And can we bring in our sand when the site is finally leveled and set the sand on wet dirt or does the site need to be dry? Everyone in the family is frustrated and doesn't think we will ever get it leveled. The summer is dwindling away as we keep digging away. I have purchased a pad to place over the sand to protect the liner from rocks and roots. Intex only says 1/2" to 1" of sand, but elsewhere I read 2 inches and some even say 3 inches. Your advice on all this would be greatly appreciated. Hi Dee It's funny you mention that leveling video, I laughed when I first saw it. In over 40 years I don't remember seeing ground that could be leveled like that. My guess is your digging should be done. 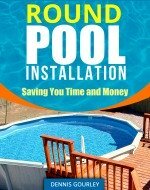 The wet spots in your pool area are indicating low spots. You might just need to fill them in a little. I would then bring in the sand, not more than 1". At that point try the board and the level again, you should be able to level, and at the same time smooth, the sand to perfection. Or at least close enough, you have made such a great start, don't over think it to the point of not getting it finished.